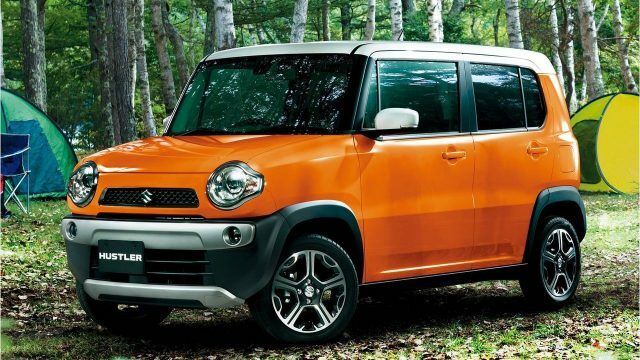 People call Suzuki Hustler a mini version of Toyota FJ Cruiser in boxier form with a similar two-tone color similar as the FJ Cruiser. 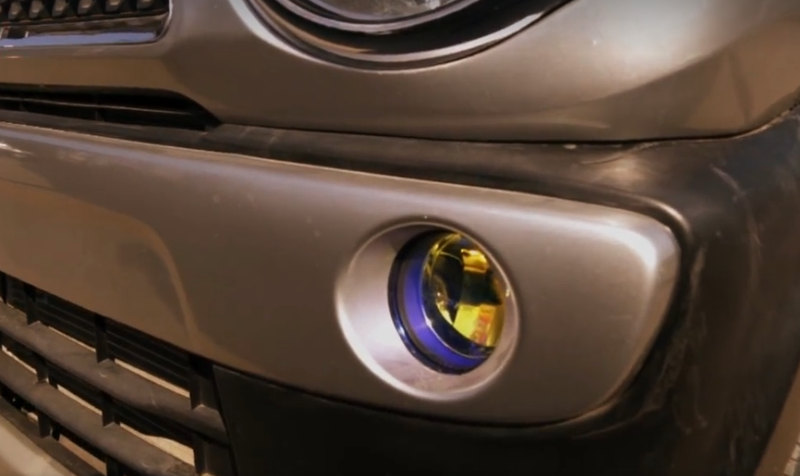 A pair of headlamps with a round design and projector lenses like glaring eyes complete the front fascia, and seemingly there is no excessive chrome on exterior except at the front grill frame, Suzuki logo, and Hustler emblem. 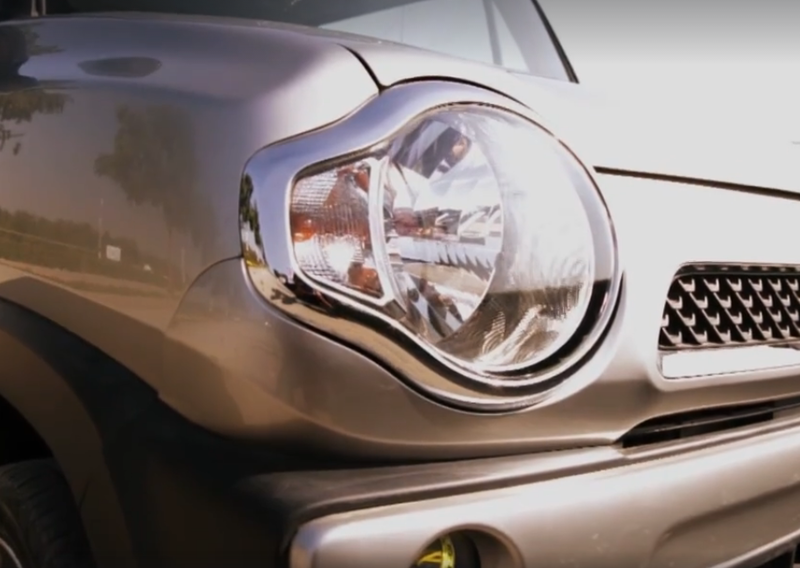 On the contrary, we found a calm silver accent on plastic panel connecting both of the front fog lamp and front bumper. To maximize its mock SUV looks, Hustler has been fitted with black doff plastic body molding; starting from the front bumper, side skirts, accented over fenders, and rear bumper. If one were to look at its side profile then it certainly is boxy and looks cramped. Both side mirrors and rooftop comes with a white color, while the rest of the car comes with a spectrum of bright colors to choose from. 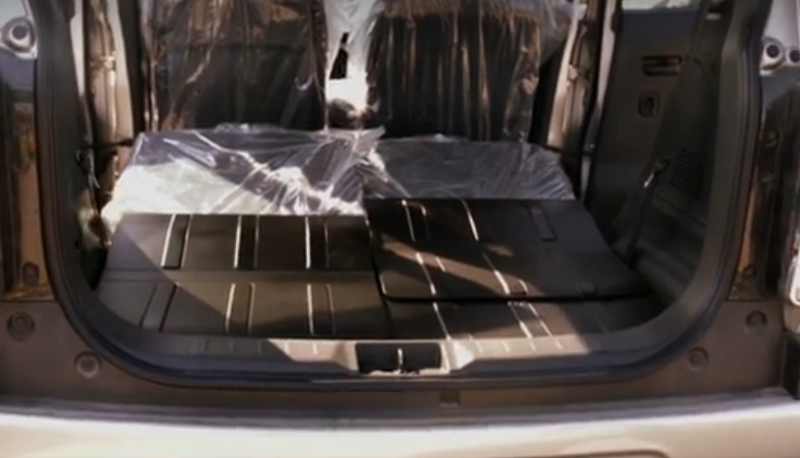 The car features 15′ alloy rims, which come as standard on this car. In terms of physical aesthetics on the tail end side, Hustler is equipped with a vertical tail lamp and high mounted brake light. The rear bumper though comes with a downshifter. Other than that there is nothing spectacularly in this kei car, which might pop out. The interior of this is based on the concept of dual color tones, the logic behind this initiative is to make this car more appealing to the younger audience. The overall dashboard design is seemingly slightly boxy with a lot of straight elements, coupled with the minimalistic round accents at the Speedometer housing and AC ventilation, it manages to give out a somewhat subpar looks. Apart from that, the car is equipped with 3 glove boxes. The noteworthy thing is the finish and builds quality of the dashboard. It is undeniably plastic but if you were to tap or press on it at different places, it doesn’t rattle or squeaks. Needless to say, its finish is smooth and will definitely end up making a positive impression on potential customers. The car is equipped with a touch screen head unit and other driving amenities such as satellite navigation, aux-In, USB and SD card ports. 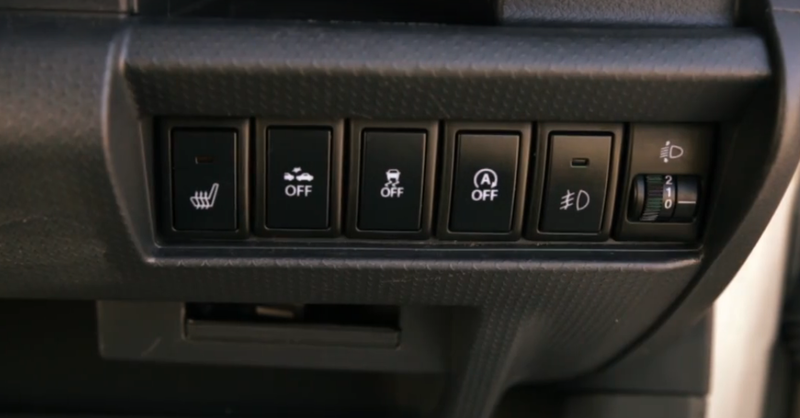 The climate control is placed directly in the reach of driver and is appropriately placed on the dashboard. Sadly there is no cigarette lighter in the car so tough luck if you end up buying this car and are a smoker. There are multiple 12V power outlets in this car. 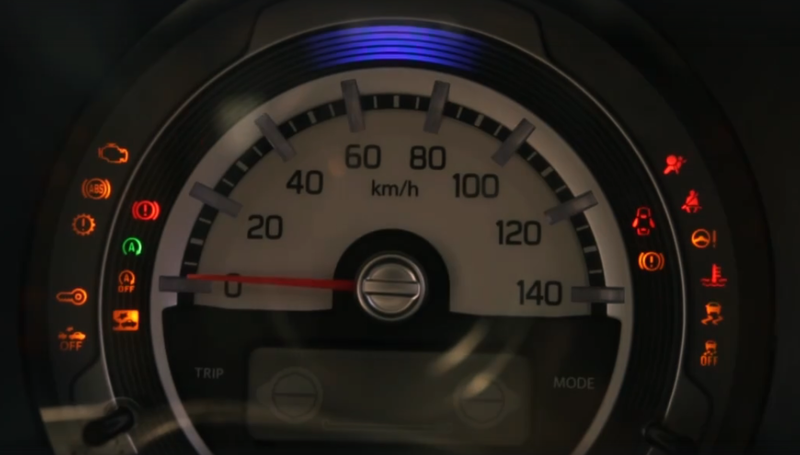 Additionally, the instrument panel packs a speedometer, while the small MID screen also acts as the tachometer. 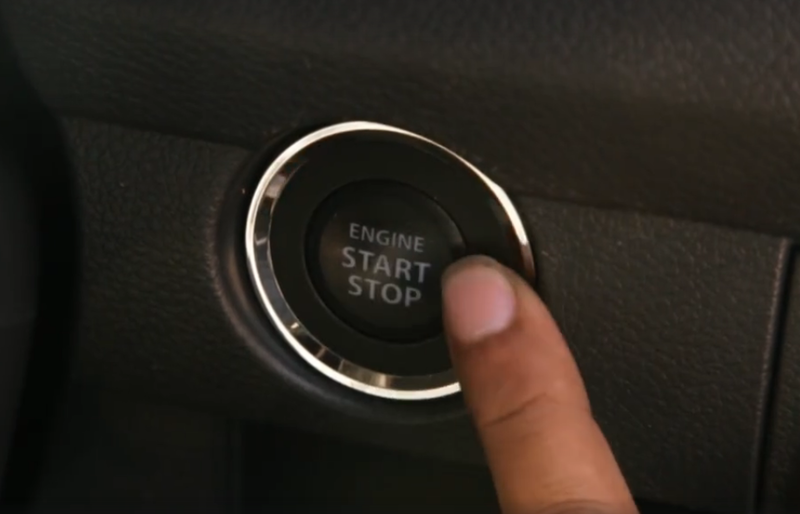 idling stop system, traction control, automatic braking system, seat warming, and headlight adjustment buttons. 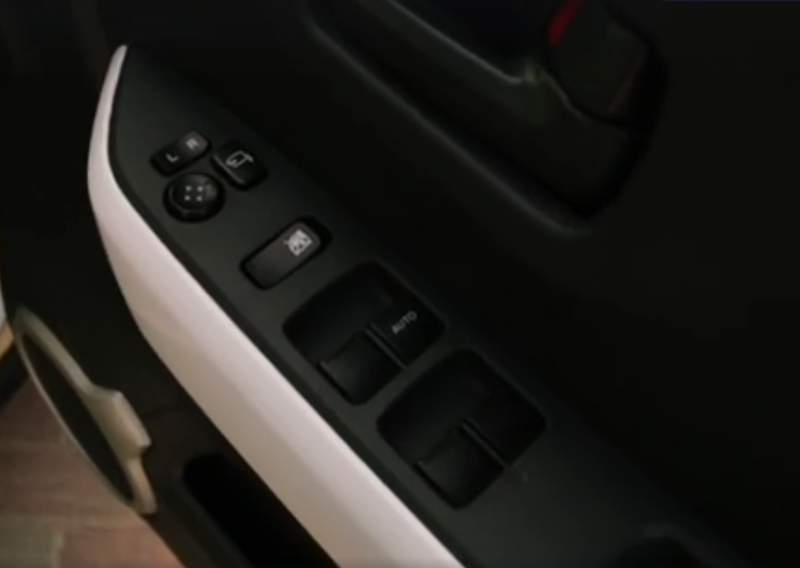 Thanks to its foot operated parking brake, Suzuki has managed to install a flat front passenger seats. And predictably, this car features power window, side mirror adjustment and retractable mirrors as standard. Let’s talk in terms of space. 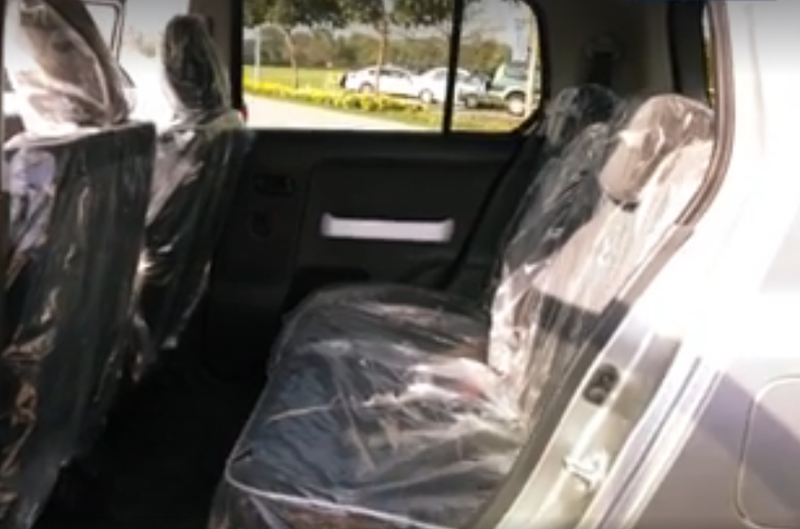 It offers spacious legroom and headroom, both at the front and rear cabin. 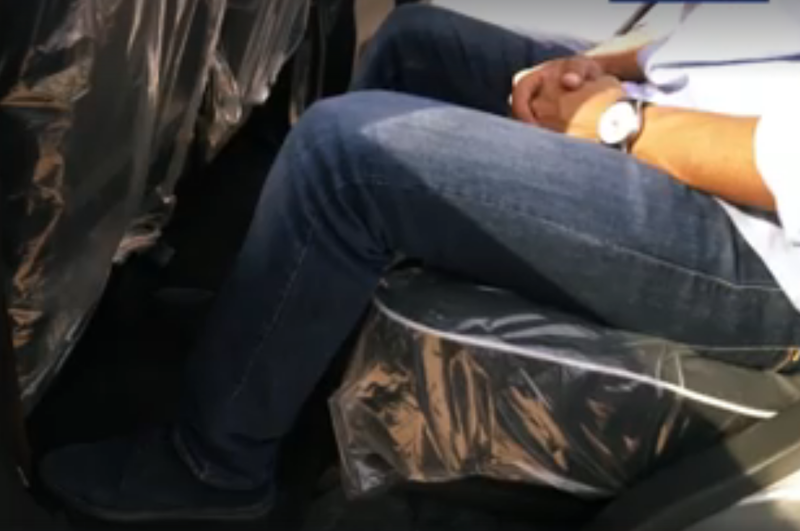 Although the seats’ comfort could’ve been improved but all of the seats can be slided, reclined and collapsed to make more space in the boot. Last but not the least is ISOFIX adoption at the rear seats. In the small engine bay, Hustler features a small 3-cylinders 660cc DOHC turbocharged engine, which manages to produce a respectable 63bhp at 6,000rpm. Safe to say with this amount of power, Hustler is not a performance vehicle rather it’s kei car manufactured to give you an admirable mileage in city driving. 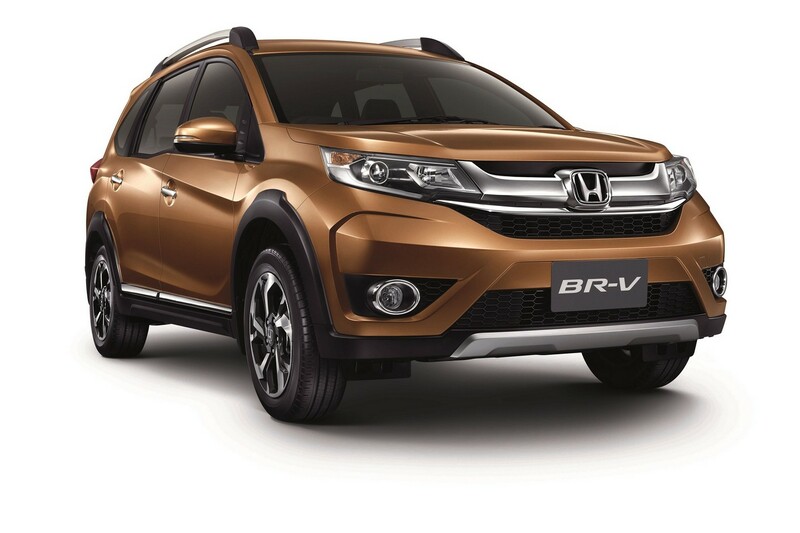 The car’s turbocharged engine is mated to a CVT gearbox and features Eco Idle technology. 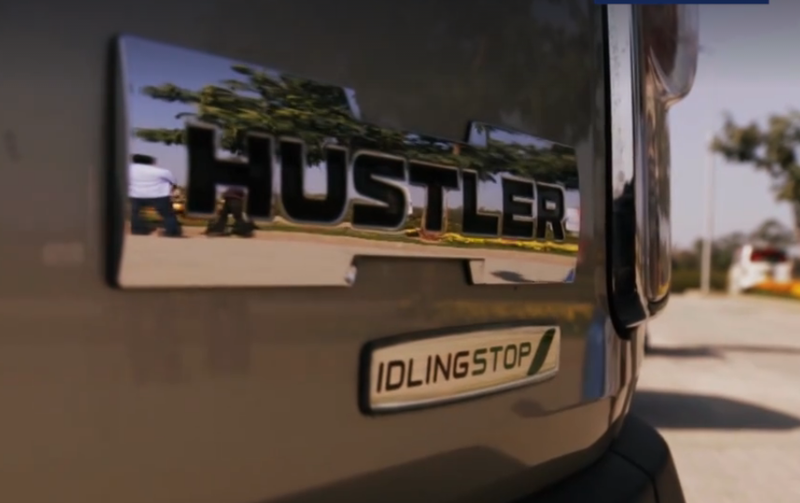 Additionally, Hustler’s turning radius is a very appropriate 4.6m. Its a Front Wheel Drive Car and features a 27L fuel tank. The standard tire size in this car is 165/60 R 15 77H. Alright up until now we’ve talked about its looks and in essence engine performance figures but I believe it’s the right time to transition towards the discussion of safety and security features, which will justify its price tag. 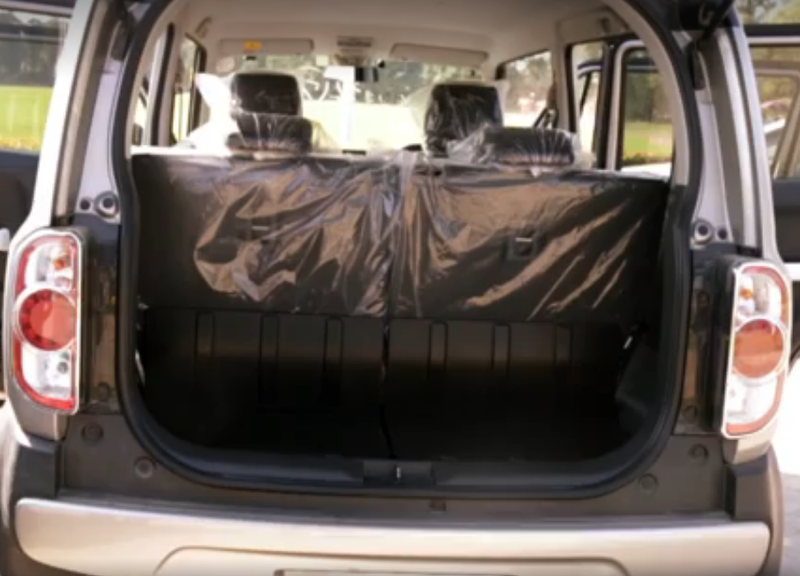 First up are flat beds in this car -both front and rear- which has enabled Suzuki to fit seats that can be slided, reclined and collapsed to make more space in the boot. The company has achieved the flat bed on the front side by installing parking foot brake. 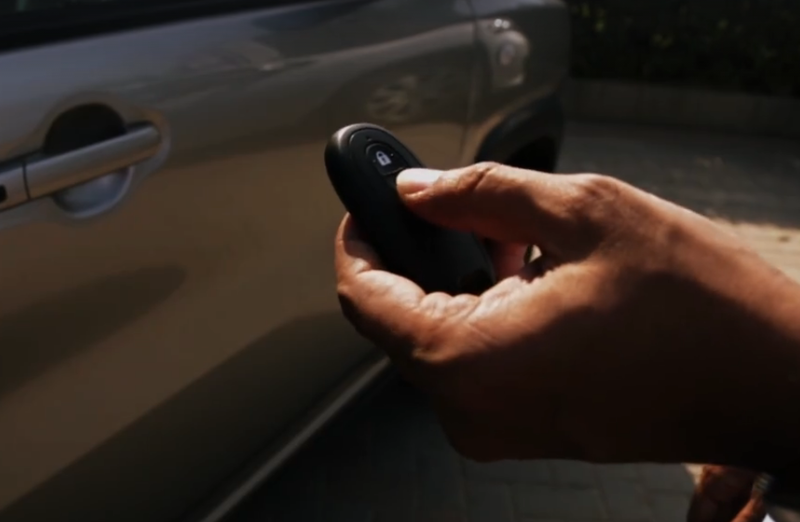 Since this is a JDM car, it is bound to have an extensive array of features like multiple airbags, ABS brakes with EDB, immobilizer key and traction key. 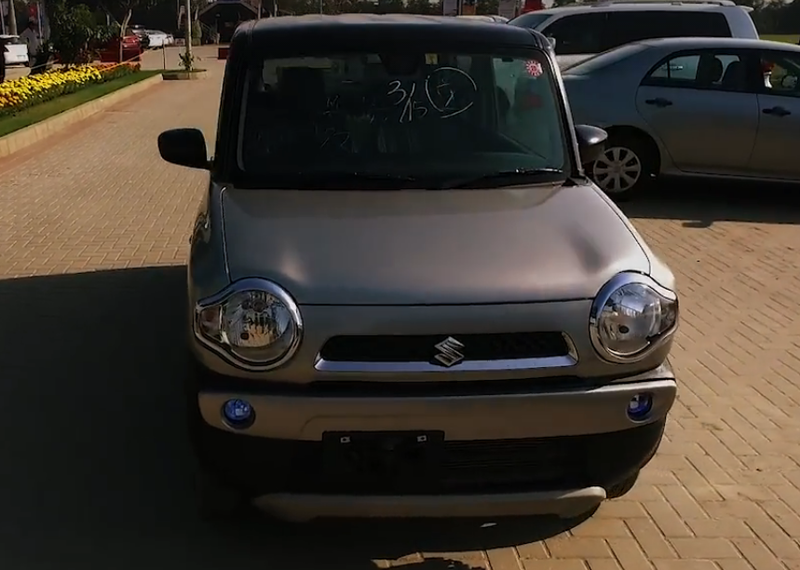 The unique selling point of this car is its adjustable headlamps, radar brake assist and smart entry with engine ignition/stop button. 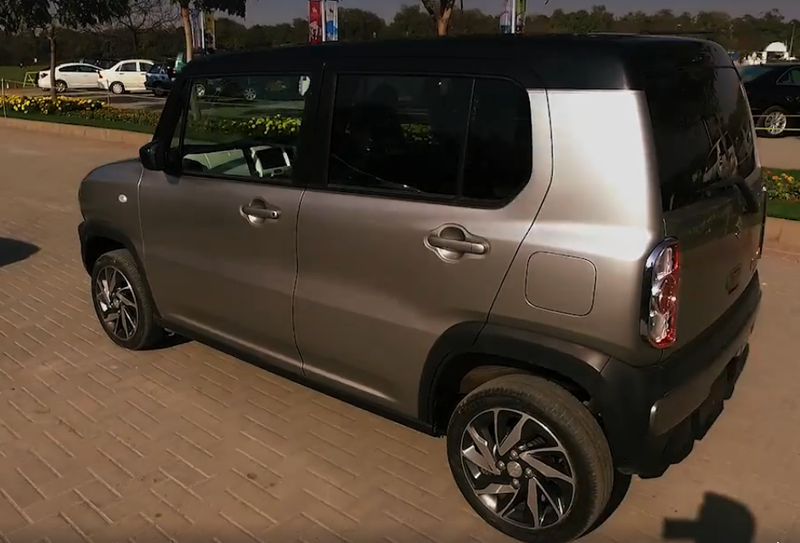 In a nutshell, this car is being hailed as one of the top JDM Kei cars to be sold in Pakistan. Why is that? With its build quality and top of the line features, it certainly can compete for that coveted spot. Add the relatively lower priced spare parts as compared to Honda N-One, this car can certainly become on the favourite cars. 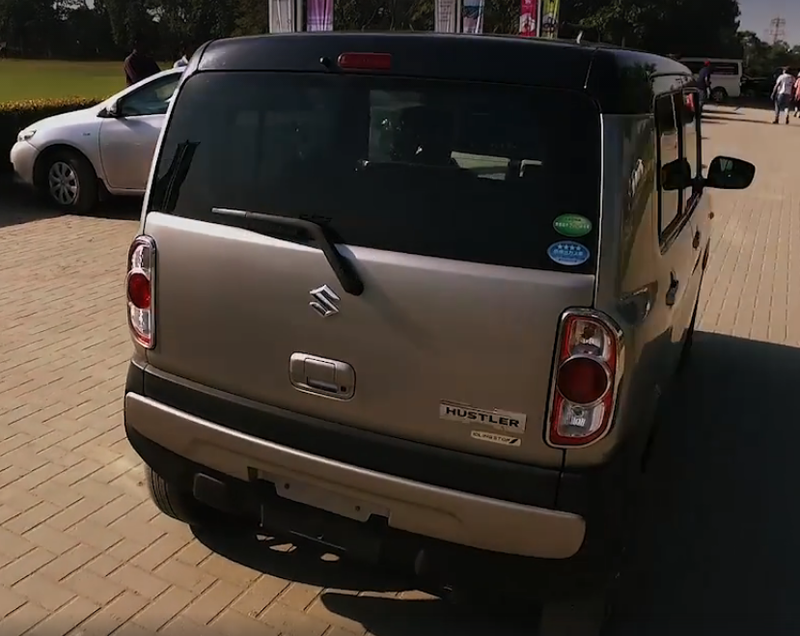 The only problem, which I can conceive is the price tag, a good grade Suzuki Hustler can cost you 12.5-12.75 lac rupees. There should be a video review for this as well.